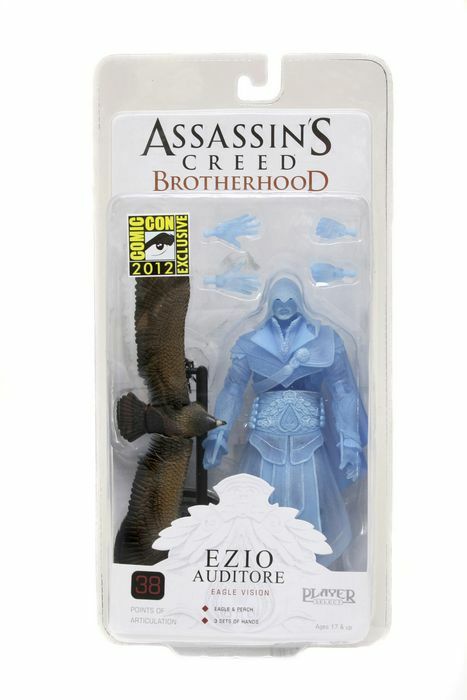 Eagle Vision Ezio comes with Eagle Accessory and is SDCC Exclusive! Not to be confused with the full-size sedan Chrysler produced in the mid-’90s, this Eagle Vision refers to Ezio Auditore’s sixth sense and one of the most helpful characteristics in the Assassin’s Creed series. Today, we unveil our new Eagle Vision Ezio Auditore 7″ action figure as our final exclusive for the 2012 San Diego Comic-Con! Eagle Vision, passed down from an ancient line of assassins and interminably helpful in figuring out who’s a friend and who’s an enemy, gives people and objects a color-coded aura. Red is for enemies, blue for friends, gold for targets who may be able to help and white for information sources or hiding spots. 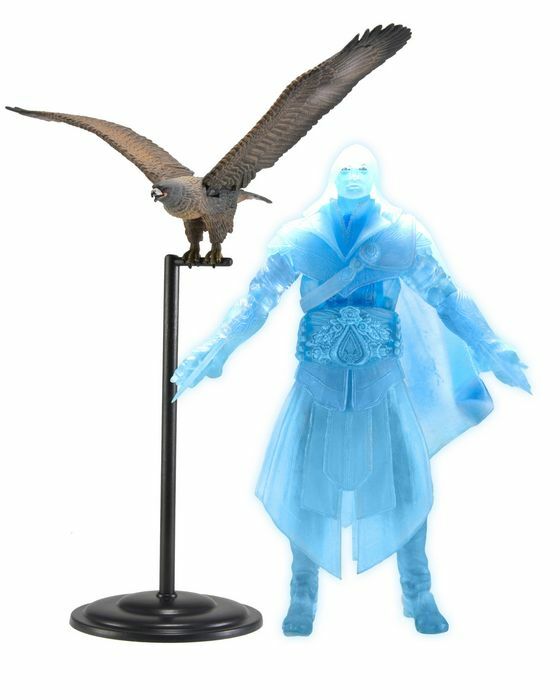 We’ve had a few Ezios lately — see also Hooded Ezio Onyx, Unhooded Ezio Onyx, not to mention the DaVinci Glider in which they soar — but Eagle Vision Ezio is truly something unique in our ongoing collection of Assassin’s Creed action figures, with the translucent look and the included Eagle accessory. Ezio himself has an astounding 38+ points of articulation and three sets of interchangeable hands. 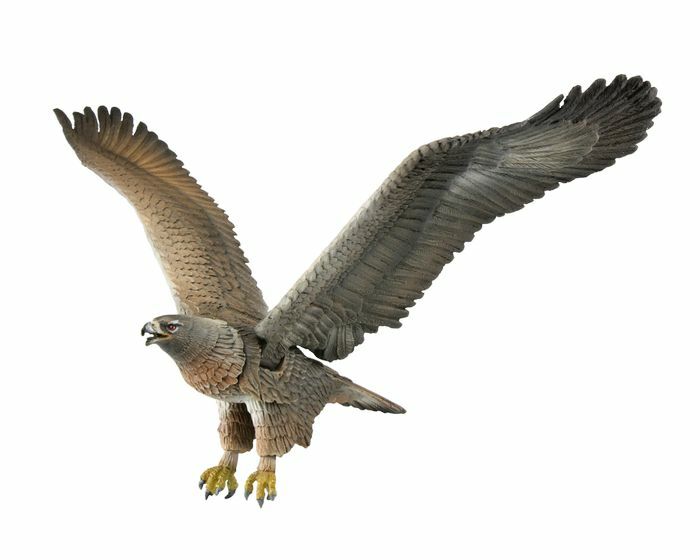 The Eagle has articulated wings and a perch to land on. Clamshell packaging. If you’re not going to make it to Comic-Con this year — first off, why not? — we’ll have a big announcement next week that you’re going to be stoked about, and in the meantime, don’t forget to check out the other SDCC exclusives we already revealed: the Gears of War 3 Elite Theron, Comic Book Freddy Krueger, Hero from the Sky Ash, Cloaked City Hunter Predator and the Giant-Man HeroClix. Friday we’ll have another update for SDCC that you’re going to want to check out, so keep it tuned to your favorite action figure wholesaler for that and for more news and info on all the best games, movies and more.